Today’s guest blogger is Dale Humby, CTO of Nomanini. Nomanini is a startup based in South Africa which provides a platform to sell prepaid products such as airtime, electricity and insurance electronically. In this post, Dale explains how the backend systems of their flagship device, Lula, run on App Engine. In rural markets, it is often difficult to distribute physical vouchers, which can be used to provide access to services such as electricity, insurance, and airtime for mobile phones. Nomanini enables entrepreneurs in Africa to earn income selling prepaid vouchers in their local communities. 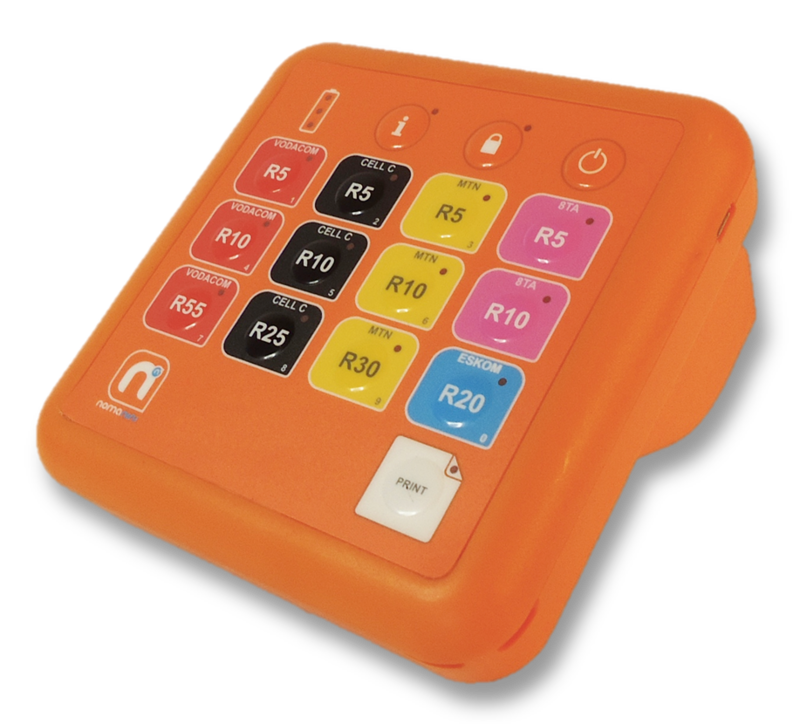 We do this by distributing a portable, user-friendly voucher sales terminal, known as the Lula, which can be used on-the-go by people ranging from taxi drivers to street vendors. Nomanini uses Google App Engine to support the backend system for our network of point of sale terminals. Terminals in the field connect to our App Engine application through the GSM mobile network. The terminals synchronize when a connection becomes available, allowing sales to be processed even when devices are offline. The devices make an https post to a URL endpoint. Any data uploaded by the device is queued for processing as multiple tasks, and the App Engine application sends information back to the device within the returned body. Often the only responsibility a URL endpoint has is to create a task. If work can be broken into discrete areas we fan out to other tasks which run in parallel on separate App Engine instances. By controlling how many concurrent tasks are run in each queue, we are able to prioritize specific parts of our application ensuring the best quality of service for our customers. 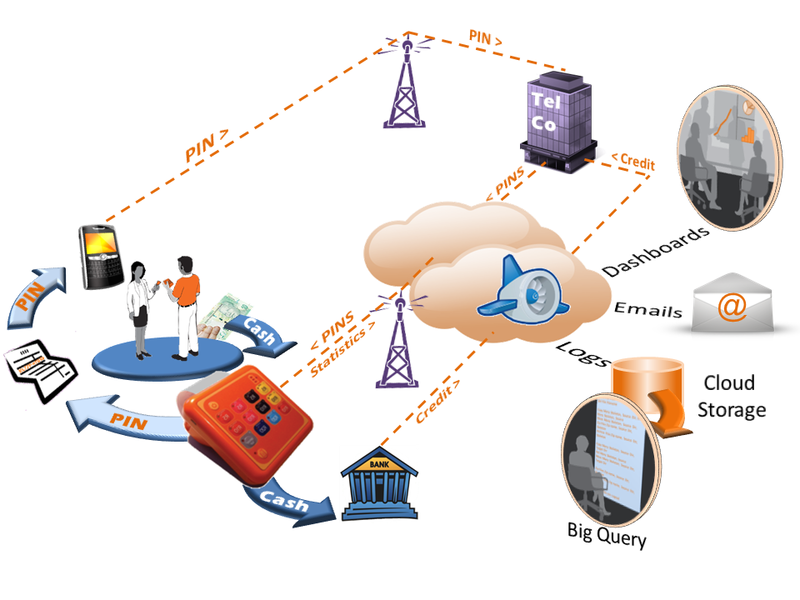 By utilizing cross entity group transactions, transactional tasks and appropriate key naems for entities in the Datastore, we have been able to build an extremely resilient application capable of processing data. App Engine’s High Replication Datastore gives us the peace of mind that our data will be available and accurate to a degree that we couldn’t easily replicate ourselves. As a start up, capital and time are in short supply. With App Engine, we can focus on building our unique application rather than worrying about infrastructure. App Engine Task Queues allow parallel data execution and retrying on failure, with little code overhead for developers. Nomanini has very cyclical traffic patterns: our peak traffic occurs in the early morning and late afternoon, with a monthly peak around payday in South Africa. Google App Engine automatically scales our application so that we don’t have to pay for excess server capacity during off-peak times, but have capacity available when we need it. Monitoring is simplified by using built in dashboards. We can also export logs to Google Cloud Storage and run ad-hoc queries on analytics using Google BigQuery. To reduce our time to market we used as many off-the-shelf components as possible, including Google App Engine. We chose App Engine because it offers a platform with a consistent, well documented, ready-to-use set of services and allows our developers to test within an environment that is identical to our production environment - a practice that used to be prohibitively expensive. Using the Google App Engine platform has saved our small development team time that we would have had to use to design, build and test a highly reliable backend to support our network of vending terminals in farflung places. Instead, we can focus our time on building a device that we hope will impact the way local commerce is done in rural economies. To read more about the story of Nomanini, check out the post about us on the Official Google Blog. your site is very informative & Gracefull.